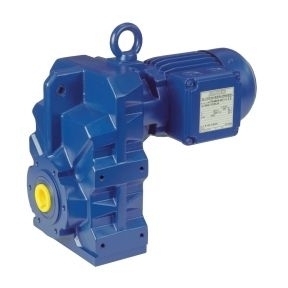 AC drive motors are pieces of equipment that can require a lot of expensive maintenance work. However, there are a lot of ways to avoid this costly equipment upkeep. One way to avoid paying these expenses is to properly protect your AC drive motor since it is very susceptible to damages. Another thing is to educate yourself about troubleshooting the equipment and try to fix the motor with the basic steps used universally. By doing this, you can prevent your motor being damaged and make it last longer. You can save time and money by fixing the minor issues that may arise on the equipment instead of paying the maintenance or repair fees. To help you troubleshoot your AC drive, here are the basic troubleshooting steps you can follow. Make sure to keep these steps in mind or make a copy of this article for future reference. Notation - The most basic and simplest step in troubleshooting any equipment is taking notes of the significant information about the unit. Taking notes of the manufacturer, unit model and a serial number of the product is the first step in getting more information about it. You can also use this notes for after-sales services like parts replacements and repairs. Test - The next step is to look for the problem by testing the equipment using industrial tester tools. This way you can check your AC drive motor and identify the problem of the motor. Then you can isolate the issue and see if that’s the only thing you have to fix. This will also give you a chance to prepare for the next steps, like looking for parts. Check the Power - Running the AC motor through electrical power will also show if the motor is still operational or not. If the motor does not turn on, then the problem may be in the power supply. Doing this will also allow you to see if there are warning lights or sounds that may make the diagnosis process easier. Once you got it all figured out, you can start working on how to fix the motor itself. The best thing to do is to consult a professional first, especially if you’re not sure what the specific problem is. At Bauer GMC, we love gears and motors, and will gladly help or give advice on any project or requirement. Visit or call us today!